Easy technique to open Mac Outlook 2016/2011 OLM mail items on Windows platform. Open OLM files, then scan bulk email items from Outlook 2011 within a minute. Later than quicks scanning of OLM files, look at the preview of Outlook mail items for Mac OS. Clearly Read OLM files after surveillance preview of Outlook 2011 Mailboxes. Provides alternative to save scanned Outlook OLM files for future reference. A bulk amount of Outlook .OLM Mail data can be scanned and saved in preferable location. Compatible with all editions of Windows Operating System including 10, 8.1, 8, 7 & all earlier editions. Freeware OLM viewer helps to open single or multiple Outlook 2016 OLM files as e-mails, contacts, task, etc. easily can open from your local machine (Windows) and can view all OLM items easily. After opening Outlook 2011 OLM files, this OLM viewer started to scan complete database and preview of Mac Outlook email items without any payment. Even can view these scanned mails anytime in future. This tool allows you to save scanned Mac Outlook mail items anywhere on your local machine. After this process whenever you wish to view again these files, you can view these OLM files again & again. This software authorized to retain complete metadata associated to each mail item in Outlook 2011. Without any loss of emails & related attachments, even no changes in read/unread email items, etc. To view Mac Outlook 2011 email items, Mac OS is not obligatory, but Windows OS is required and this freeware tool is accessible in all editions of Windows OS and users can view OLM files on Windows. Now OLM Viewer is accessible on any of the Windows Operating System as Windows 10, 8.1, 8, 7 and all other older editions as well. Same for all editions of MS-Outlook applications including Outlook 2016. This freeware is extremely effortless to operate, scan and preview of Outlook 2011 email items without any complications. In just three steps you can see OLM files with its attachments in Windows Platform. The freeware tool offered with Search alternative after scanning of Mac Outlook OLM files and can view scanned OLM files along with can save scanned files as well into your local Windows platform. Trial Edition Available Free for Testing with No Limitation! No Time & Days Limited! "Tucows awarded OLM Viewer freeware tool on the basis of clients Monthly Rating by the Month of October & November 2014." Full Edition Starting with Freeware Price Onwards! 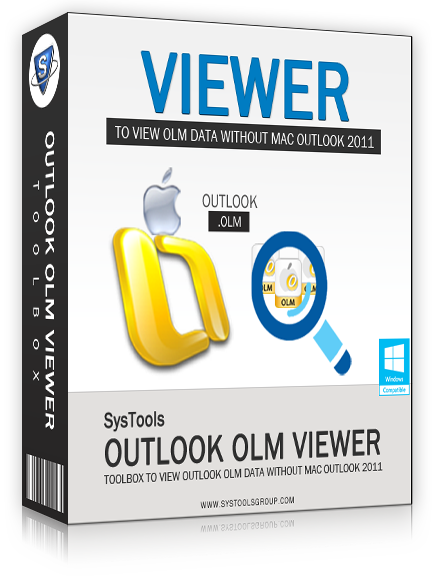 "OLM viewer is an outstanding freeware software for viewing unlimited Mac Outlook 2011 data files. I had downloaded this application and still I am able to view my OLM files on my Windows platform."